"OceanicTime, a blog dedicated to diver’s watches, is celebrating its 10th anniversary by partnering with H2O Watch to reinforce its Kalmar 2 dive watch to reach a STAGGERING water-resistance of 10 miles. OceanicTime was founded by British dive watch enthusiast, Lex Martine, in 2008. 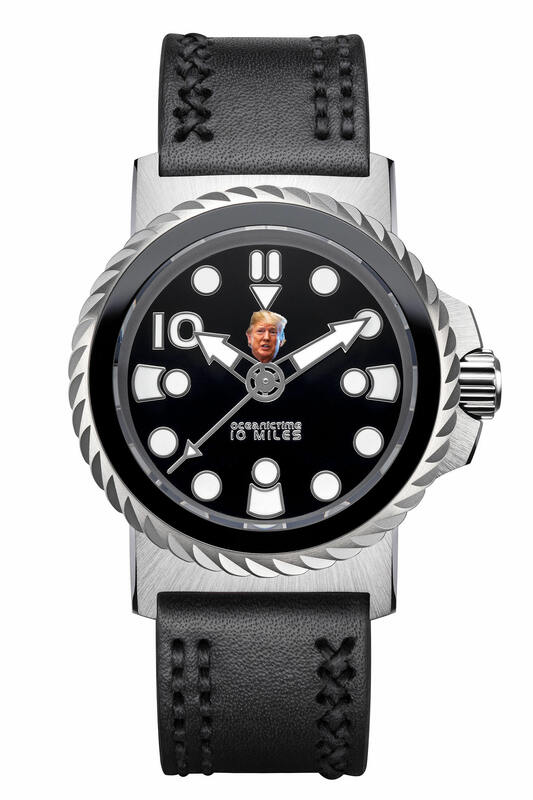 Best known for its daily blogs, the site also works on collaborative projects to modify existing dive watches into special editions. They’ve partnered with H2O Watch, a German tool-watch brand founded in 2010 that specializes in deepwater resistance, to create the Kalmar 2x OceanicTime 10 Miles edition. For a little context, the deepest part of the ocean is the Challenger Deep, located in the western Pacific Ocean with a depth of approximately 6.9 miles. A scuba diver can descend to a maximum depth of 1,090 feet (approx. 332 metres, a record set by Ahmed Gabr) and only a few specialized submersibles have ever reached the Challenger Deep. Why does a watch need such an unattainable depth rating? Well, why not? Let’s take a closer look at this groundbreaking achievement." Anxiously awaiting Octopus pun from foggy. And equipped with a ISO specced bezel! Now awl it needs is a orange dial face and it wood be perfect! That's deeper than Mary Anns trench. codguy wrote: Now awl it needs is a orange dial face and it wood be perfect! There, should be perfect now. It cracks me up how much work has gone into knurling for turning a bezel that has no markings. Why call it the '10 miles' ?? I'm guessing they haven't understood that the world outside their neighbourhood uses metric and that watch water resistance is expressed in metric units (either bar or meters)? Last edited by bedlam on December 5th 2018, 5:37pm, edited 1 time in total.